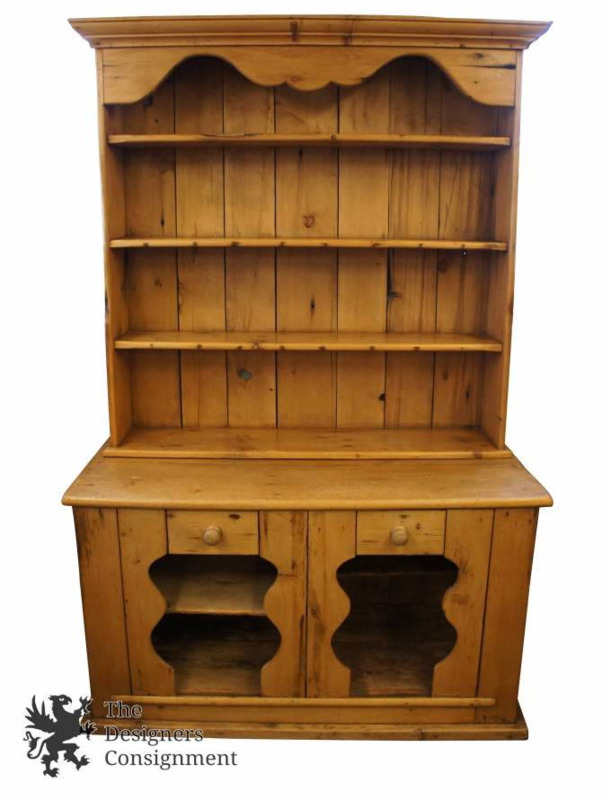 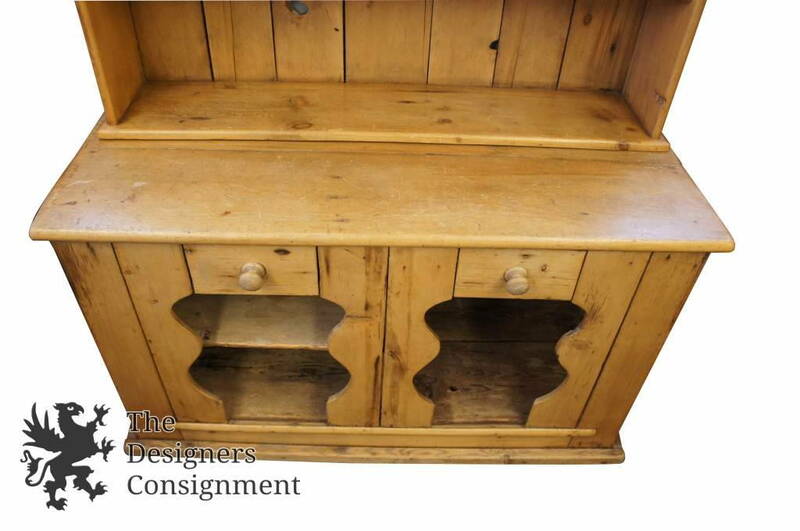 This Hutch features a removable top cupboard, and two drawers on the front. 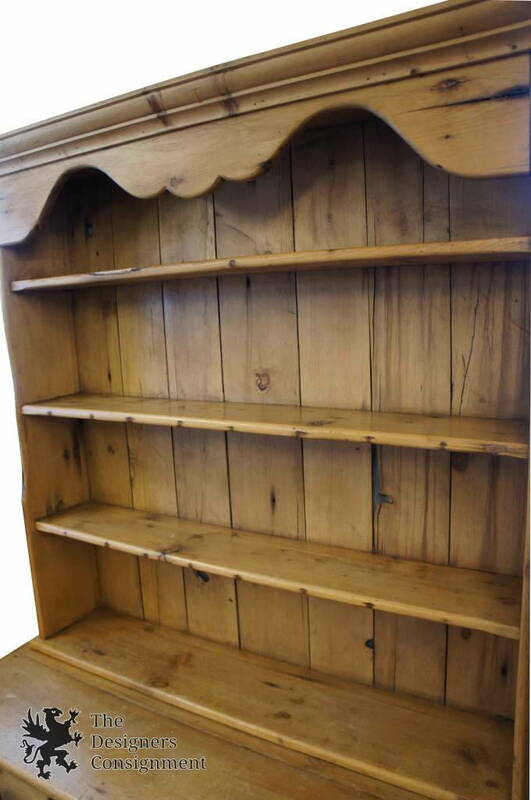 The shelves below are sturdy, and the right one has a cut out to display taller items through "cello back" cut trim. 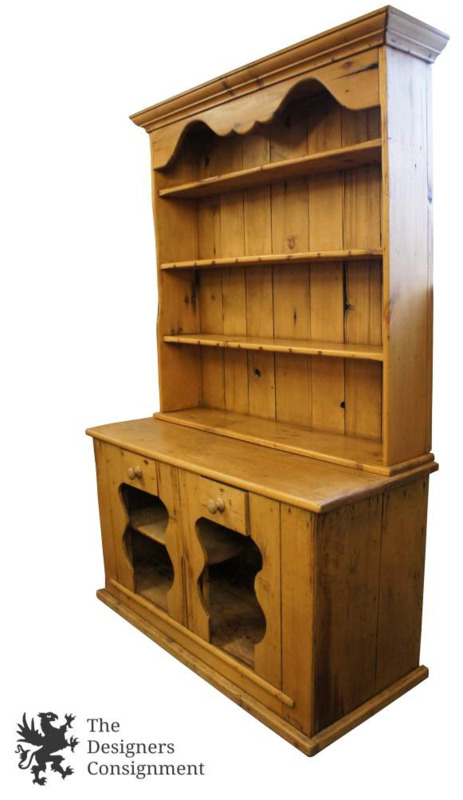 It measures approximately 52w x 23d x 80h in inches.